The film movingly details how his politically charged music went nowhere in America, but in South Africa made him an artist with the political import and cultural standing of Bob Dylan. 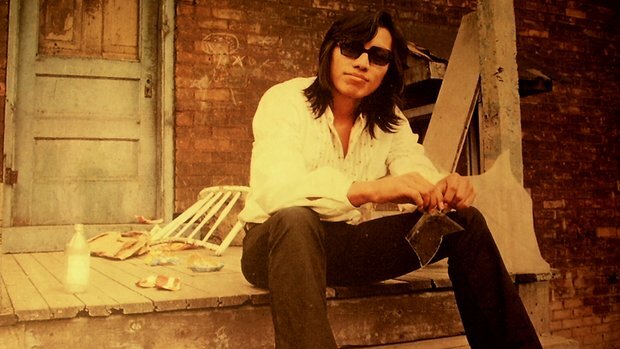 It reignited interest in Sixto Diaz Rodriguez, who had quietly settled back in his birthplace of Detroit, working construction and odd jobs when his music career went nowhere. Friday night, a sold-out El Rey audience was almost religiously reverent as the 70-year-old musician, clad all in black and wearing a hat whose brim shaded his sunglass-covered eyes, was gingerly led onstage by a band member, and tentatively stood at the mike as the crowd roared their appreciation. via Review: Sugar Man’s Rodriguez plays Los Angeles – latimes.com.